As the most highly trained member of the emergency medical services system team, the paramedic is the team leader who delivers out-of-hospital emergency care under the direction of an emergency physician. Paramedics direct and manage the patient care aspects of the emergency response team. This team is commonly composed of emergency medical responders, emergency medical technicians, public safety officers and/or community service agency personnel that respond to traffic accidents, fires, explosions, cave-ins, emergency rescue calls, and other life-threatening situations. The paramedic’s primary responsibilities are to provide competent care for victims of accidents or sudden illness by stabilizing the patient’s condition using advanced medical skills and equipment as well as safely transporting the patient to the hospital. The paramedic performs these duties in a variety of diverse settings in conjunction with other public safety personnel. In addition, paramedics may also participate in patient care within hospitals and/or medical offices. The actions of a paramedic can often make a difference in patient survival. 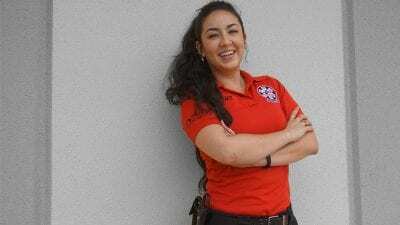 Successful completion of this program yields a certificate of completion, which affords graduates the eligibility to attempt the State of Florida Bureau of EMS Paramedic Examination and/or the National Registry EMT-P Examination. 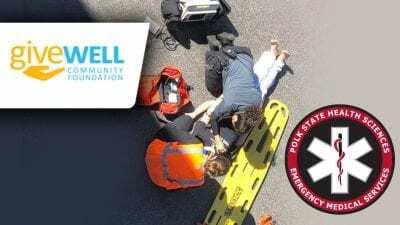 The Paramedic program is a three-semester sequence consisting of various components including didactic lectures, skills and simulation labs, and clinical practice. Throughout the course of the program students, gain the necessary skills and abilities to demonstrate competency and professionalism as the highest trained personnel within the scope of pre-hospital medicine. Program participants are subject to an intensive 1,200 contact-hour program requiring careful planning of school, work, and home schedules in order to succeed. In addition, class sessions do not follow the traditional two-days-a-week course schedule common amongst other collegiate classes. Conversely, the paramedic class schedule varies week-to-week in order to accommodate participants who work a 24-on, 48-off type of shift schedule. Furthermore, clinical internship schedules do not follow the college’s academic calendar and often require participation during nights, weekends, and/or holidays. Interested parties should contact EMS program staff for scheduling details and/or additional information. The Paramedic Certificate is a limited admission program, which subjects applicants to the admission criteria listed below and begins in August of every year. Applicant selection takes place during the summer using the selection process outlined below. The following requirements are completed after the selection process is completed. Thus, they do not affect candidate selection. Additional information regarding these additional requirements will be provided during the mandatory orientation. Approximate cost is about $6500.00 including tuition, lab fees, textbooks, and uniforms. Students are likely to encounter additional expenses associated with travel, meals, or other related supplies. In addition, pre-requisite coursework is not included in this estimate. Potential entry-level salary for paramedics varies from $34,000 – $45,000 depending on the agency of employment. Program graduates are eligible to attempt the State of Florida Bureau of EMS Paramedic Examination and/or the National Registry EMT-P Examination. Click here to see the Paramedic Certificate curriculum. Gainful employment programs include only training programs of at least one academic year that lead to a certificate (credit programs requiring 16 or more credit hours and clock hour programs requiring 600 or more contact hours). These programs prepare students for gainful employment in a recognized occupation.